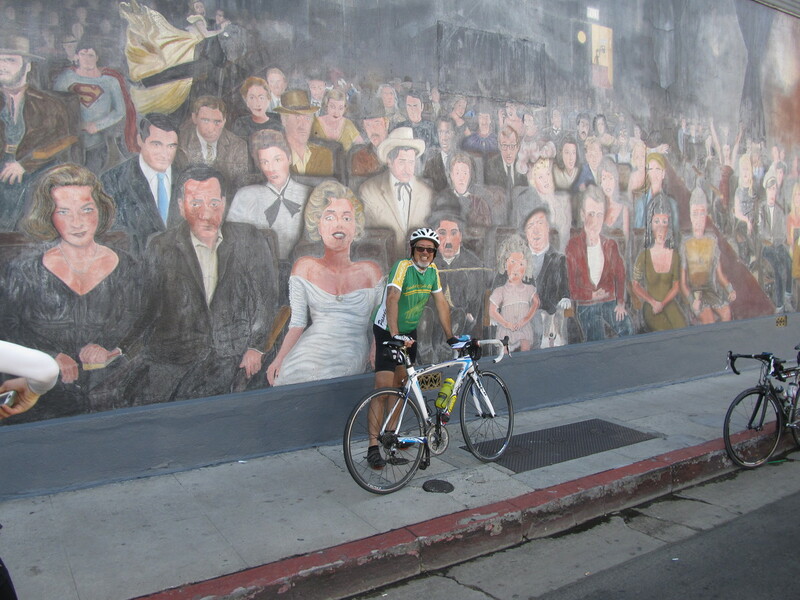 Today’s bike club ride was the “La La Land“-themed ride I’ve been putting together for a while. We rode around Pasadena, Hollywood, and Burbank to go by several of the locations where scenes from “La La Land” were shot. Some of them only appear for a few seconds, while a few were the locations for relatively long scenes. The pictures from the ride are here, and where it’s relevant, there is a screenshot of the location as it appeared in the movie. 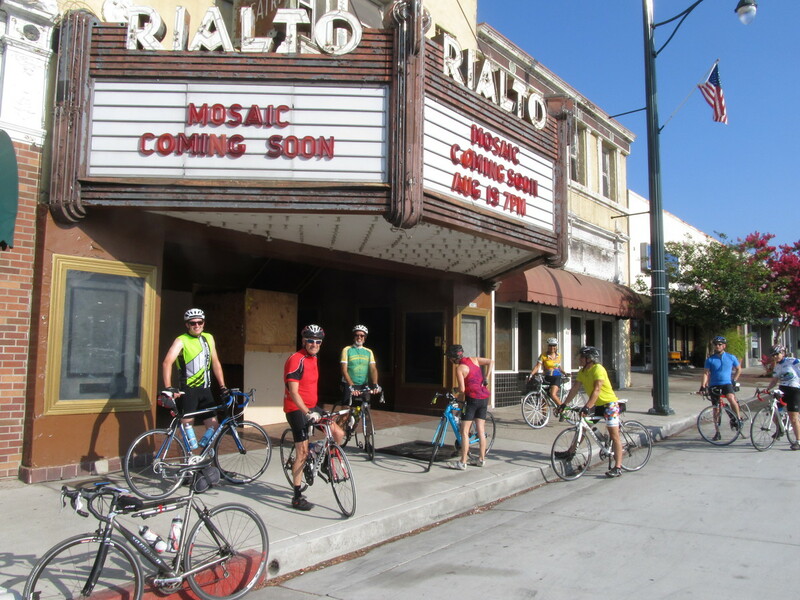 The first stop was the Rialto Theater in South Pasadena. This was where Sebastian and Mia went to see “Rebel Without a Cause”. The theater has been closed for about ten years now, but there is still talk of renovating it. 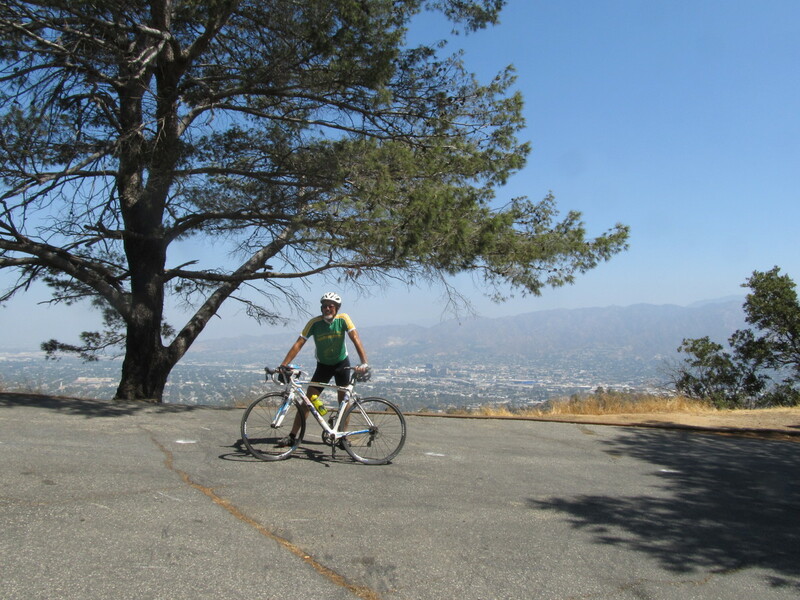 Next, we rode down through Silver Lake to find our way into Hollywood. The stop was at the “You Are the Star” mural painted on the side of a building at the corner of Hollywood and Wilcox. This was shot as the exterior of the restaurant where Mia first saw Sebastian playing the piano. One novel thing about this route was that we went down a lot of streets we ride on fairly regularly, but in the opposite direction. So this time, we headed east on Hollywood Boulevard to get to Griffith Park. We turned up Western Ave, and then into the park at Fern Dell. That appeared briefly in the movie as part of the montage of Mia and Sebastian’s first dates. We were going to stop at The Trails Cafe in the park, but the line was too long. 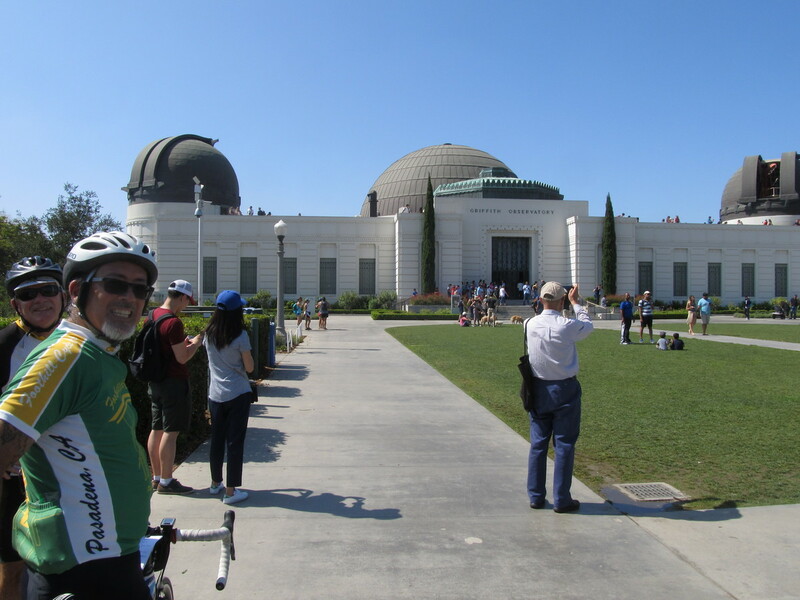 Continuing on up the hill, we ride up to the Observatory. This was where Mia and Sebastian went after the movie at the Rialto. The place was packed today. The next stop was just over the other side of Mt Hollywood Dr. We rode up to the top, and then started down the other side, stopping at Cathy’s Corner. This was the scene of the song-and-dance “A Lovely Night”. This scene is a bit over four minutes long, and was done as a single long shot. And it was filmed right at sunset to get the nice lighting. I read that they were able to get two takes during a single sunset. No word on how many days they were up there doing their two takes before they got the one they wanted. 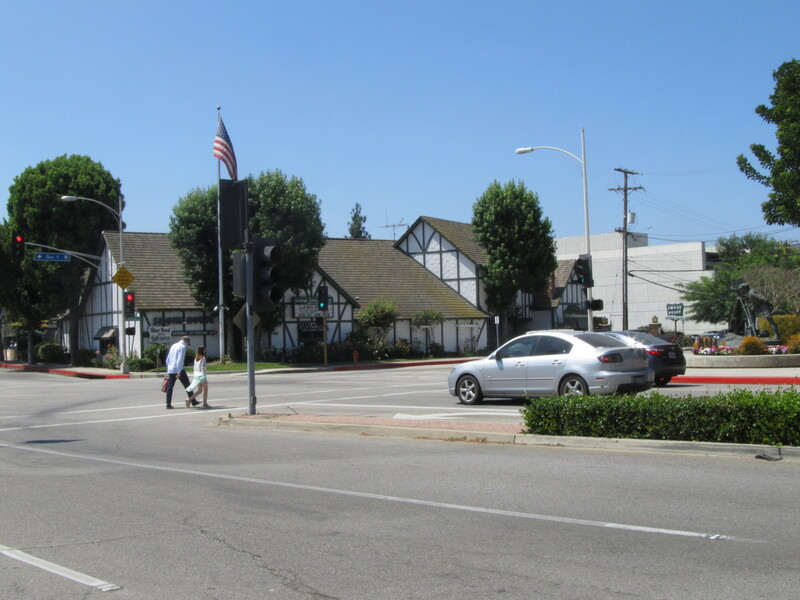 Heading on down the hill, we rode into Burbank, stopping briefly to see the Smoke House restaurant. That was used as the interior of the restaurant where Sebastian was grudgingly playing Christmas songs. We stopped at Priscilla’s in Burbank to get drinks and snacks. Then we headed for home, straight across Glendale and Eagle Rock, and then up the Colorado hill. 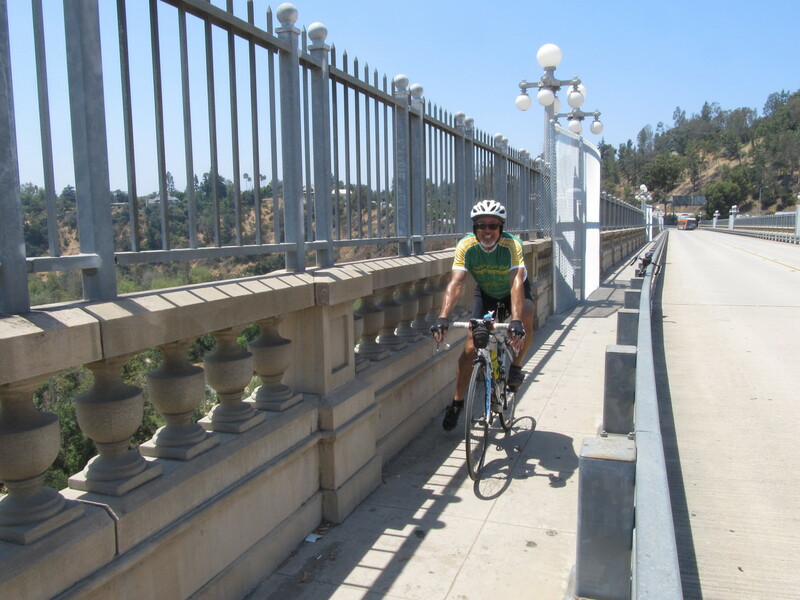 At the top, we rode across the Colorado Bridge, which also appeared briefly in Mia and Sebastian’s first dates montage.